Situated on 4.54 Acres of land sits your dream farm house! 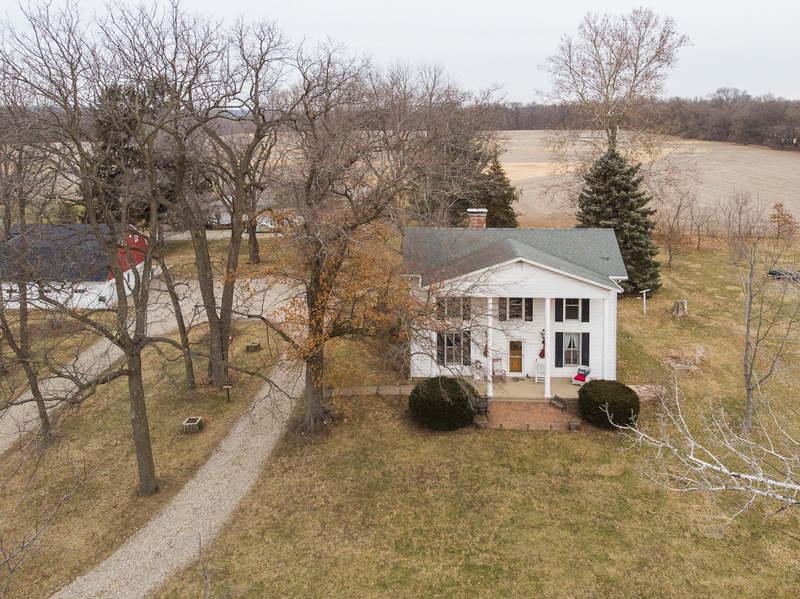 This Historical 1.5 Story Colonial style home sits just on the edge of Mackinaw on Juliana street, giving you all the country feels but with all the in-town convenience! Beautiful 2 story pillars in front pull you inside where you’ll find spacious foyer, formal living and dining rooms, original hand carved walnut open stairway, handmade woodworking throughout, doors/trim/built in cabinets made from lumber on property. Freshly painted, some new windows, some new carpet. Kitchen & Bathrooms remodeled. Finished basement provides more living space and a full bath in the utility room. 30×30 Garage with loft on the property offers great entertaining space! Electrical updated in the 70’s, No gas on property. Lots of historical info and original plat is available. No pesticides have been used on property for 10 years so this can be certified as an organic property, owner used to let chicken free range. Radon already mitigated. Sellers have already completed a whole house inspection, appraisal, radon, and termite inspection with all issues repaired.